One of my early music influences has left us. Most music fans of the more casual variety probably know the song Suzie Q as recorded by Creedence Clearwater Revival. The original version by Dale Hawkins, on the other hand, has been sadly collecting dust except in the hands of rock and roll history junkies. Labeled “swamp rock”, it had an unforgettable guitar riff, a rolling drum beat, and a simple, memorable lyric. Dale Hawkins’ Suzie Q was not only a killer recording, but the song influenced me in another way. It featured the signature guitar work of a then 13-year-old James Burton – a guitar idol of mine. I watched James play guitar on the Ozzie & Harriet TV show as a kid and bought my first electric guitar (a black and white Fender Telecaster) in imitation of the Tele-playing Burton. I was proud to get James Burton’s signature on it just a few years ago. It’s a prize possession. I owe Dale Hawkins a lot, as I played along with Suzie Q countless times in my formative guitar years. The song still stands out as a favorite of mine. I just spun it up (or whatever you do on an MP3 player) a few days ago for old times. If you’ll pardon me…I’m going to give it another listen right now. 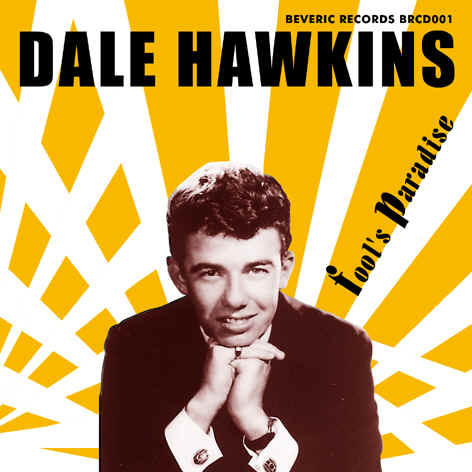 Rest in Peace, Dale Hawkins! For a good article on the life and work of Hawkins, check out this site brought to my attention by my old friend Michael Kaiser.